New age businesses in India are witnessing a revolutionary shift in office space dynamics driven by cost optimisation strategies as well as solutions to cater to a younger workforce. For long however the Indian commercial real estate market was restricted to larger office set-ups, with huge fixed costs and lengthy lock-in periods. But the advent of millennial workers combined with a growing entrepreneurial culture is triggering demand for ‘Flexible’ and ‘Smaller’ real estate alternatives. Startups and SME’s continue to bet big on India’s growth story, scaling up their workforce faster than ever before. But how do these companies find office spaces that are budget friendly, flexible and tailor made to suit their requirements? Business owners are slowly adapting the idea of collective working or Coworking, which enables them to share not only physical workspace, but also ideas and synergies. Coworking in essence provides innovative office space solutions without making huge investments in large format properties in anticipation of future manpower expansion. For corporates and large businesses, the challenges are different. Urban congestion, long distances, increased travel time; pressures to reduce capital and operational expenses and challenges of retaining top talent have led to an increase in telecommuting and remote working. The odd even rule implemented in Delhi where vehicle owners can ply on roads only on alternate days is another example of commute challenges. Working from home or remote locations like cafes, hotels, airport lounges, etc can have its own set of challenges. Lack of control over surroundings, limited access to facilities like internet and printing, as well as difficulty in monitoring employees and weakening productivity is compelling businesses to rethink their operational best practices. This has led to employers turning to flexible and agile working solutions in the form of Coworking. In addition, Coworking firms bridge the gap between demand and supply through fully fitted centers, which provide members with necessary amenities such as high-speed internet, scanners – printers, meeting rooms with audio – video capabilities, multiple seating options, complementary food and beverages, parking space and mail – handling facilities. The virtual address concept where an owner provides an individual the permission to use the address virtually for business purposes is another important aspect of Coworking. New age Coworking firms enable employers to analyse building access patterns, internet and printing usage, collaboration zone interactions and interaction through access cards, CCTV, and POS. The access to big data allows corporates and startups to map and analyse employee trends that can be beneficial for enhancing productivity and engagement. Big data analytics in Coworking provides empirical evidence on workspace trends, which can determine how offices of the future are designed. Currently, 17% of India’s Grade A office space is lying vacant with the same statistic being 27% in Delhi and 20% in Mumbai. Coworking is a great business opportunity that can help monetising under-utilised commercial spaces across retail and hospitality set-ups. There is a huge opportunity for aggregation of under-utilised real estate spaces by converting them into Coworking centers. With planned operations and timely execution of projects, Coworking firms can deliver high quality solutions for both space owners as well as end users. Crowd sourcing is another trend that will promote Coworking culture next to residential hubs, providing an activity based productive work environment and leveraging the network effects of people who form a community where the owners and consumers of space co-exist. Coworking, as a concept, has emerged as a game changer in the real estate market globally. Today there are over 10,000 Coworking centers with a 5 million plus members in India. Asia in fact is the biggest Coworking market in terms of members. Worldwide, Coworking centers have seen a 36% surge in member base and these numbers are growing by the minute. The freedom to choose one’s workplace, ease of interactions with peers and the gamut of services offered by Coworking spaces is contributing to this growth. There is a huge opportunity to create a network of managed work spaces in prime destinations across all major metros. The anytime, anywhere network of spaces is here to stay and co-working firms need to come up with out-of-the-box offerings that appeal to the young and aspirational Indian workforce. Guest article on Inc42 by Amit Ramani, Founder – Awfis Space Solutions Pvt. 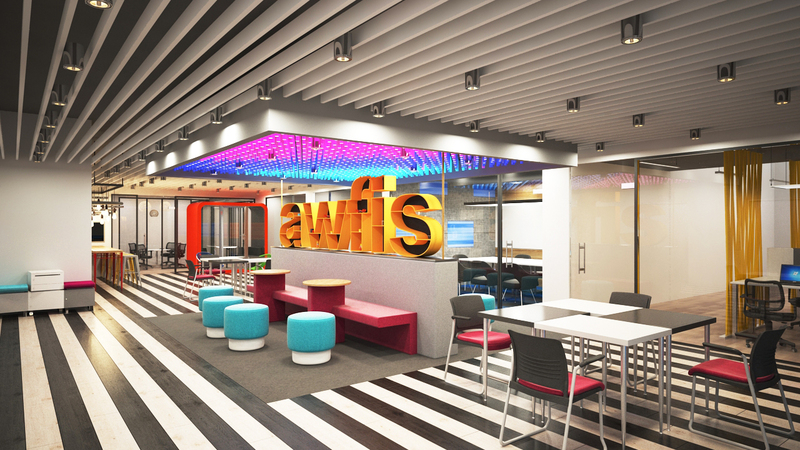 Ltd.
Collaborative coworking space provider Awfis has raised $20 Mn in a Series C funding round from existing investors Sequoia Capital, The Three Sisters: Institutional Office (TTS:IO), and InnoVen Capital. Awfis was founded by Amit Ramani in 2015, with strategic backing from The Three Sisters: Institutional Office (TTS:IO). It offers customers the facility to book workplaces for durations ranging from an hour to 11 months. It is being speculated that, with the latest funding, the valuation of the company has reached more than $130.8 Mn (INR 900 Cr). Awfis plans to use the funding to bolster and deepen the Awfis network across India, launch new and innovative products/services and further enhance the existing technology platform. Till date, the company has raised about $51 Mn in risk capital, including a $20 Mn Series B round from Sequoia in April 2017. This article is part of the special coverage of the upcoming Union Budget 2018 from the lens of Indian startup ecosystem. In this pre-budget series, we’ll shed light on major expectations of the startups from Budget 2018 for various industries across all the key areas including taxation. ‘Though the Bitcoin boom last year made real estate investments look pale, but now, as the ‘Bitcoin-bubble’ is getting bulldozed by laws and regulations, ‘the best investment on the earth remains the earth’. In the past few years, the Indian real estate startups have grown significantly – from once being an online gateway and real estate marketplace to offering co-working space and offering drone-services for real-time maps and locations. The real estate and construction sector in India is expected to be the third-largest globally by 2030, contributing over 15% to the Indian GDP, according to a report jointly released by National Real Estate Development Council (NAREDCO) and KPMG in August 2016. It is also expected to be the largest employer in India by 2022, employing more than 75 Mn people. The market size is expected to grow to $1 Tn in 2025, making it the third largest globally. However, recently released Economic Survey 2018 marks the deceleration in the real estate sector. According to the survey, the share of real estate sector which includes ownership of dwellings accounted for 7.7% of India’s overall GVA (Gross Value Added) in 2015-16. The growth of this sector decelerated in the last three years from 7.5% in 2013-14 to 6.6% in 2014-15 and further to 4.4% in 2015-16. The growth of ownership of dwelling segment having a share of 6.8% in overall GVA decelerating from 7.1% in 2013-14 to 3.2% in 2015- 16. The growth of the construction sector which includes buildings, dams, roads, bridges, etc. has decelerated to 1.7% in 2016-17 from 5.0% in 2015-16. Accounting for the second highest inflows of FDI, real estate has been adversely affected by the big triad policy implementation of the central government, in short-term. The big-three policy initiatives are GST, demonetisation and Real Estate (Regulation and Development) Act, 2016. Still, in its nascent age, GST has adversely affected the sector, as the tax has directly gone up from the previous 5.5% to now under 12% GST slab, inducing repercussions for the third largest employer-sector and which has consequently annoyed real estate players. “Private equity investments in real estates in 2017 had already touched a new high of nearly $4 Bn. Large pension funds are having a lot of interest to enter into Indian housing market today. Finance Minister has already indicated that housing shall be high on agenda in the ensuing Budget,” he said. Let’s take a recap of the Union Budget 2017. One of the most significant improvement that real estate saw last year was the inclusion of affordable housing into infrastructure. This helped reduce the cost of funding for the builders which ultimately could be passed by the buyers too. Lots of startups are now coming up offering coworking space. In the Union Budget 2017, Jaitley reduced the capital gain tax period to two years from the previous period of three years. This will help these startups to sell their property after two years of purchase, in case if the traction could not meet the target. The Union Budget also reformed the existing notional tax on unsold but ready inventory. A real estate owner was now liable to pay the notional tax on unsold but ready inventory only after one year of the project completion. This aimed to help increase the supply of properties. The National Housing Bank would reportedly refinance over $3.1 Bn (INR 20K Cr) loans while fund allocation for development under Atal Mission for Rejuvenation and Urban Transformation (AMRUT) and Smart Cities projects were also increased to $1.41 Bn (INR 9,000 Cr). Commenting on the government initiatives, Kapil Wadhawan, Chairman of WGC and CMD, DHFL said, “The 2017 Union Budget gave new impetus to the affordable housing sector and provided the players several reasons to cheer”. According to him, along with assigning infrastructure status to affordable housing projects, the government also announced a slew of incentives like increase in allocation from $2.3 Bn (INR 15,000 Cr) to $3.6 Bn ( INR2 3,000 Cr) for the Pradhan Mantri Awas Yojana, extending the time period of project completion from three to five years and determining benefits based on carpet area instead of built-up area, among others. The Real Estate (Regulation and Development) Act, 2016 which came into force on May 1, 2017, with full provisions directed the states in India to establish a special body to deal with the real estate matters. The RERA 2016 made every new and ongoing project (>500 Sq Mt or eight apartments depending on the state) compulsory to register with the regulatory authority. As per the Act, the builder has to publish the entire details of their projects on the website of the Regulatory Authority. The registration is valid for the period indicated in the project application as the time required for completion of the project. Once this period is over, the Regulatory Authority has a right to revoke the registration granted for this project. The Act has also given the buyers the right to file a complaint with the Regulatory body if the builder or developer is not voluntarily compensating the buyer if the scheduled timeline gets extended. In case, the regulatory authority-appointed officer does not respond within 60 days, buyers can also go to the state’s appellate tribunal over the same. As the RERA strengthen the protection of buyers, real estate players are now looking to the government to bring certain amendments in the Act as well as taxation relief in Union Budget 2018. As per him, the consumers expected consolidation of demand and over improvement in the market segment and in 2017, it was also expected that RERA will bring transparency, with GST to ease the sector, but unfortunately, both these expectations were not met. Union Budget 2018: What Real Estate Startups Really Wants From Jaitley? PM Modi had earlier announced plans of building homes for all by 2022 and as an aftermath of this announcement, according to BS, actions to realise it is set to boost the economy by $1.3 Tn, create 60 Mn new houses and over 2 Mn jobs annually. Now, considering that the government has already taken some decisions and this is to be the last full-fledged budget of Jaitley in this present government, real estate startups and other players are expecting more reforms pertaining to GST, RERA, stamp duty and more. During the pre-GST era, real estate buyers used to pay only 4.5% service tax and 1% VAT on a property sale; however, the GST has suddenly raised the tax to 12% which real estate startups think, doesn’t fit into their pocket-size. He claimed that the assigned GST rate for the under-construction properties is 12%, which is higher than the previous taxes. The real estate sector expects a strive to make GST a tax-neutral proposition so as to help people associated with it and according to him, there is also a recommendation that stamp duty should come under the ambit of GST which increases the overall price of the property. A number of reforms have been taken; but the shifting isn’t smooth as it was expected to be, complains real estate players. Since the GST is high, they want stamp duty to be decreased. Despite a string of measurements and amendments announced by Jaitley last year, the REITs seem to remain unimpressed so far, as the investments by REITs has not gone up as expected. “Along with the expectation of allotting real estate an industry status, single window clearance, reduced cost of land, lower rates of interest on borrowings should be implemented. A push from the government is required for wide-scale proliferation of these objectives for cost reduction in real estate development,” the report claimed. Tax deduction bracket on interest payment of property should be increased from the existing two lakhs. Affordable housing to get a boost. More houses to be brought into the ambit. Smart Cities may reduce pressure on metros. Need to create infra and job opportunities in these cities. Tax deduction for under construction houses. Need pool of rental houses to support urbanisation. REITs allowed at par Long Term Capital Gain for the investment to come through. Reminding of the jolts given to the vertical’s stakeholders, Ravish Kapoor, Director, Elan Group has demanded that some incentives must be given this year. Despite the GST, demonetisation effect and RERA implementation, coworking space has registered a huge phenomenal growth last year. In a country of billion with limited income from few lakhs of taxpayers from few sectors, caught in between the reforms-way and year-end general election results, it is no secret that FM Arun Jaitley has very limited space to keep the reforms continue further. Also, real estate has been a significant contributor to the country’s GDP, it is unlikely that Jaitley will reduce the GST for real estate as all the other sectors too such as textile, Gems and Jewellery, etc. continue to demand the reduction of GST. However, we might expect some reform in terms of other low hanging fruits such as stamp duty. A combination of new ways of working, activity-based settings and multi-locations are beginning to substitute traditional offices, giving way to modern workplaces and new trends are expected to be in line till 2020. 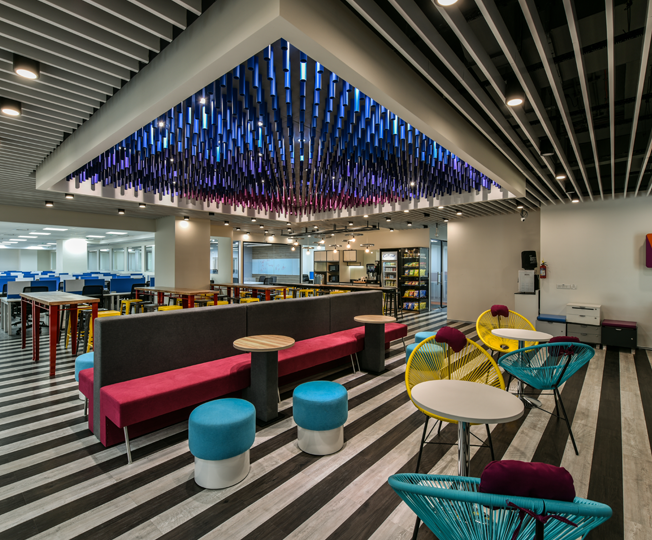 Innovation supporting the workstyles of the new age workforce has changed the approach to office design that focused on entitlement has given way to the fulfilment of the workers choice. The fast evolution of technology is the key driving force of this change, altering traditional models of working. Especially in workplaces, three fundamental shifts that have changed the face of the industry in the last decade are artificial intelligence, mobility solutions, and automation. Innovation being at the core of success, organisations are choosing to augment the work environment with tech-enabled solutions, giving rise to a new breed of offices that are cool, edgy and interactive like never before. The pace of technology evolution is ensuring that workplaces will see a dramatic shift by 2020. It is anticipated that by 2020 shared workplaces will overtake the traditional serviced offices. The top three metro cities of Mumbai, Bengaluru, and NCR offer by far the best opportunity for creating shared spaces that will serve the just in time needs of young entrepreneurs, millennials, start-ups as well as global firms with their flexible lease options and location benefits. The workplace transformation began when the rise of shared workspaces turned the archaic methods of the real estate developers with their age-old customs of lock-in period, security deposit and long-term leases providing an opportunity for disruption by creating ease and flexibility for the customer. Currently, there are a little over 200 premium business centres across the country that are set to double by 2020. While the commencement of shared workplaces was aided by the demand of entrepreneurs and freelancers, the privileges and utilities of those are no longer enjoyed only by them. 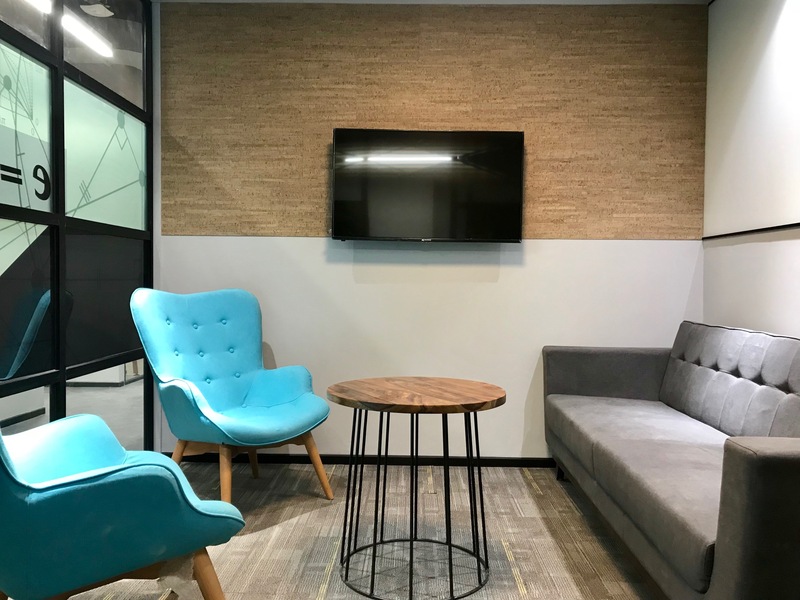 SMEs and corporates are now in embracing the idea of shared workspaces that provide conveniences and engagement with like-minded community delivering a superior experience and increased employee productivity. They have realised the fact that shared workspaces tend to be more sociable and less hierarchical than corporate workspaces, which helps encourage employees to engage with other community members resulting in cross-pollination of ideas. By 2020, workplaces will be designed as activity-based settings that will focus supporting the work style of the employees with a mix of technology integrated space and curated experiences delivered within the workspace. Millennials are already shaping office spaces today and are looking for high quality, high speed connectivity, reliable and covetable products at work. Collaborative technology is the necessity for us to meet the needs of today’s younger generation. New age activity settings have come to replace conventional desks and cubicles at a faster pace and this trend will continue to grow in the coming years. Laptops and smartphones will transform into the voice-activated assistant, wearable technology, including wearable glasses, embedded chips, and wrist devices connected with the Internet of Things (IoT), ensuring seamless connection of work surfaces and individuals. This will also lay a foundation for individuals to assess how technology is enabling alliances and accessibility from any place at any point in time. The ability of devices to interact with individual’s preference will provide personal data that will help create workplace solutions that are customized to individual work styles. Space infrastructure including lighting, air conditioning, and air quality will adapt to the task at hand, the number of users and work setting. The idle time for desks, conference, cafeteria and training spaces will drop to zero ensuring full utilization of assets and contribute to reducing the real estate square footage required with the advent of technology. In the coming years, shared workplaces will become an obvious choice for landlords, real estate agents, and tenants looking to occupy the floor-space. With the real estate market in India reacting to the advent of shared workspaces, there will also be a greater demand for office spaces focused on flexible leasing terms. This is also because the rentals of such spaces are negotiated every year as compared to once in three years in the conventional leasing model. As survey reports say, with the office rental costs rising in India, the total space leased by shared workplace operators is expected to stand at 10-12 million sq. ft. by 2020. While shared workplaces started off aiding the demand of entrepreneurs, it’s not just digital nomads and entrepreneurs taking advantage of those facilities anymore. SMEs and major corporations have already started sharing office spaces and this is where the big opportunity will be in the coming years. Alternative workspaces and activity-based working concepts are the results of simultaneous disruption and innovation in the workplace sector. The corporates looking for the flexibility of lease terms, extended location for regional and sales offices and choice for employees to work near home are fast adapting to the shared workspace solution. 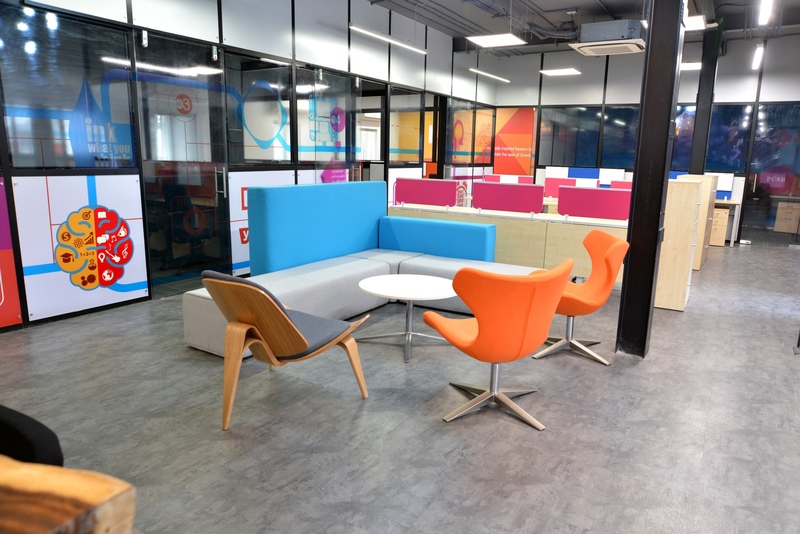 The SME’s are upgrading their current workspaces by relocating their complete offices into shared workspaces taking advantage of per-seat pricing and flexibility. Shared workspaces are all set to give more flexible options to users, than what they’re doing today. Gen-next will be on-the-go with walkable treadmill workstations, pedal tables, virtual assistant integrated desks, mobile vans, smart sensing technologies that redefine the concept of flexibility at work. Mobile offices will lead the way for remote working and establish an on-the-spot work environment anywhere and everywhere. The ability to put one’s business in motion will empower employees to work on real-time basis. Allowing flexible desk assignments will allow companies to operate with a smaller footprint. Developing a family-friendly workplace will encourage working parents to be within office premises while catering to their children as well. Future of work will be creative with a tinge of virtual reality. From the definition of workspace being ‘physical’ and ‘virtual’, digitization is transforming the future of work across dimensions. The virtual workplace is becoming more of a reality and VR technology is playing an instrumental role in setting up of virtual meetings. An individual will be able to put on a VR headset and have access to a virtual mouse, keyboard, and unlimited monitors. Online meetings will be enhanced through the use of avatars, 3D visualizations, and strong telepresence, essentially creating a truly collaborative environment that web and video conferences have been unable to achieve. Ergonomics and workplace design will aim to fulfilll functional requirements and influence the productivity of workers. With the disruptive innovation-driven workforce settling in, the revolution will be all about design. Companies have to re-design their offices to appeal to the new generation workforce. While researching on emerging trends in real estate, global experts have observed that approximately 10% of millennials are willing to take a pay cut to work in an office in a good location and with a good design. By 2020, millennials are expected to form 50% of the global workforce. A rising trend will be the incorporation of sophisticated sensors that will constantly monitor environmental conditions, the way space is being used and even employee’s emotional and physical wellbeing. This will enable offices of the future to shape-shift for maximum efficiency, alter temperature and lighting levels, and make adjustments automatically. Biometric sensors could provide insight into less obvious factors like restlessness, boredom, and stress, as well as poor posture. Basis this information designers can modify and create more effective interior layouts. An ergonomically designed workplace creates a positive difference in the attitude of workers and inspires employees to be passionate and efficient in their work. Shared workspaces with collective ethos will scale up, offering a platform for diverse communities to co-exist. This will help in blurring the lines of workspace, living space, entertainment spaces in relation to buildings, central business districts and cities creating future workspaces that are integrated and resonating with new age workers. From defining the future of corporate culture to the changing dynamics of office spaces, 3T (Trendy+Tech-Enabled+Transformative) offices will be a differentiator in evolving the traditional workspace for the new age millennials.